First in a new series from the New York Times bestselling author of the hugely popular Sweetheart Sisters novels! At heart, Elizabeth Palmer is a practical Jersey girl. And her life reflects that—until everything suddenly falls apart. In a bid to change her luck, the intrepid reporter accepts a job to write a story on a reclusive quarter horse breeder in Chatham Ridge, Georgia. To her surprise, she finds herself settling into the warm, inviting town—even joining the Southern Belle Book Club—and craving the company of the rancher she’s there to interview…. Hunter McCoy has good reason to keep his distance from the determined reporter. Tragedy has taught him to stick to things that don’t require his heart. But he can’t seem to resist the vulnerability he detects beneath Elizabeth’s tough demeanor. 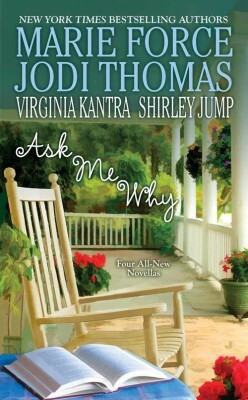 Other Books in "The Southern Belle Book Club"